We advise on all stages of mining activity in mainland Tanzania from initial exploration and the application for and renewal of a Prospecting Licence to the process for its conversion into a Special Mining Licence and the ongoing development of the mine, joint venture arrangements, environmental issues and the raising of capital through stock exchange or by private equity. The control over mineral rights is vested in the Government. The Minister for Energy and Minerals (MEM), and the Commissioner for Minerals, are however authorized, subject to the requirements and conditions under the Mining Act, to grant a wide range of licences to individuals or companies. Such licences include prospecting licences, gemstone licences, processing and smelting licences and special mining licences. Special mining licences are only granted for large scale mining operations with a minimum capital investment of US$100 million. 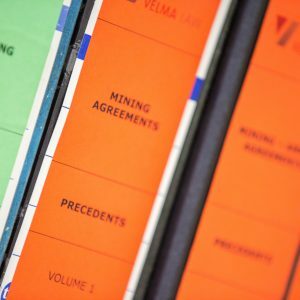 Where such licences are issued, MEM generally enters into a Mining Development Agreement (MDA) with the mining company, for the conduct of mining operations over the licence. The Government’s free carried interest and right to participate in the mining operations are some of the key provisions that are set out in the MDA. The Mining Act provides indigenous rights to holders of primary mining licences and gemstone mining licences. These licences are only issued to Tanzania citizens or mining companies where the composition of the board and the shareholding structure consists exclusively of Tanzanian citizens. There are however exceptions under the Mining Act in relation to gemstone mining licences. All miners are required to pay royalties to the Government on the gross value of all minerals produced under the relevant licence. Please contact us if you have any comments or questions, so we can advise you further.